Are you ready to be blown away? 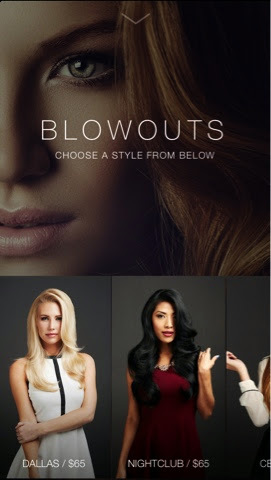 Then download the new Blownaway app - a brand-new service that streamlines your routine while getting all dolled up for an event. Your hair will be one less worry for you on your special night... or just for fun! Just download the app, choose your preferred hairstyle, and pick a date. I like this concept because it saves you the hassle of going somewhere to get a blowout. And it hasn't been done before, either. The stylist will literally bring a blowout straight to your door. The app officially launched last week with a celebration at Dee Lincoln's Bubble Bar. The party was packed - I think it's safe to say Dallas is Blownaway.